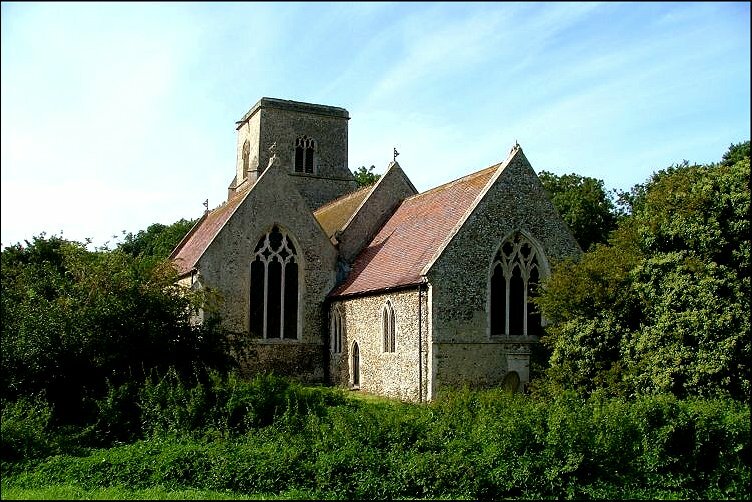 St Ethelbert was one of the first Norfolk churches that I ever visited. I came here on a bright day in late Spring, when the world was already awake and full of that rich greenness which always has me breathing it in and thinking "it's another year, we've survived another winter...". 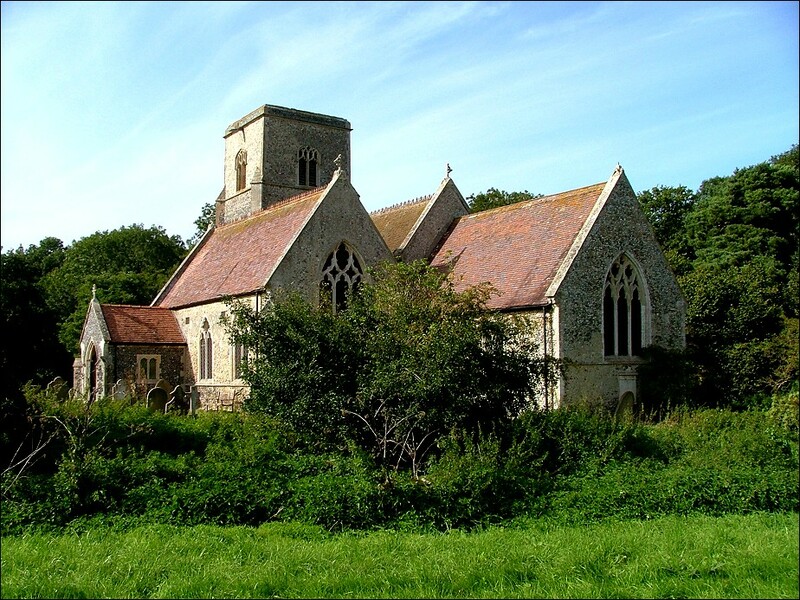 We left the road to East Harling and came down the long track through the fields, heading for the beautiful wild sanctuary of the church, boiling with trees. As the track dog-legged towards the church, I saw the hares. There were three of them, on the ridge in a field of barley seedlings to the east. Hares are so mysterious. They seem oblivious to us, but after a moment's stillness it is their way to bolt, and these shot at once in three directions, up or down the ridge, heading for cover. I watched them, lumbering yet graceful, as they tore apart from each other towards the margins of the field, disappearing into the trees. I'll never forget them, I'll never forget that moment. This early in the year, the fields still had a raw tightness to them, and this gave a drama to the billowing green of Larling churchyard, making it impossibly romantic. At the heart, the church with its unparapeted tower was like a Gothic castle. 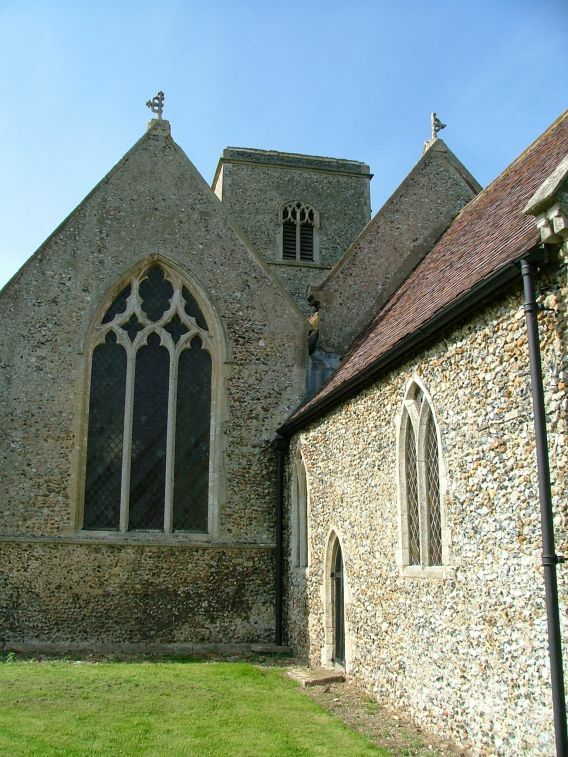 Although I could see that there had been a massive 19th century restoration here, the building had a kind of four-square permanence, the great south aisle as big as the nave, as if two churches had been built side by side. The church was locked, and there was no keyholder notice. I can't convey to you quite how disappointed I was. 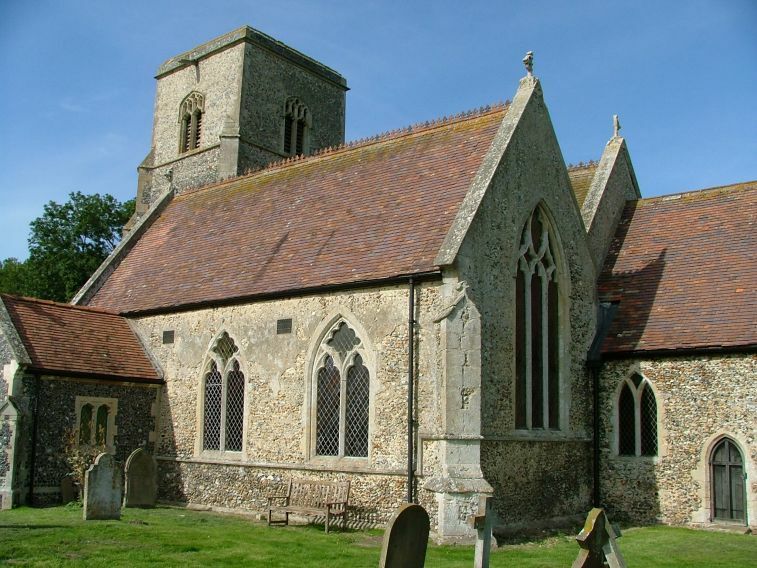 I had just finished visiting all the churches of Suffolk, and had found the great majority of them open, the rest pretty much all accessible. I had taken on Norfolk as a great adventure, but how could I possibly continue if it was all going to be like this? 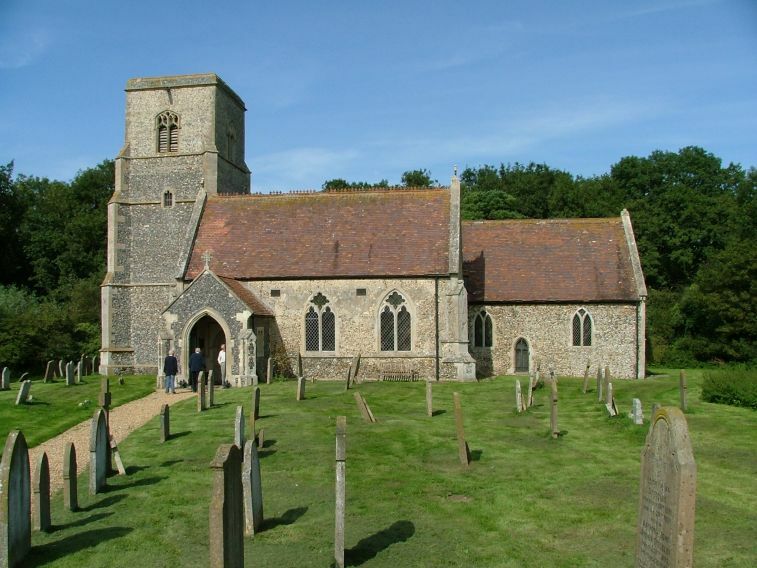 Bill Wilson, in his introduction to the revised Norfolk Pevsners, says of the churches of Norfolk that they are invariably locked. It turns out that this is nonsense; over the course of the next two years I would find more than 70% of them open, a higher percentage than in Suffolk, but I did not know this at the time. 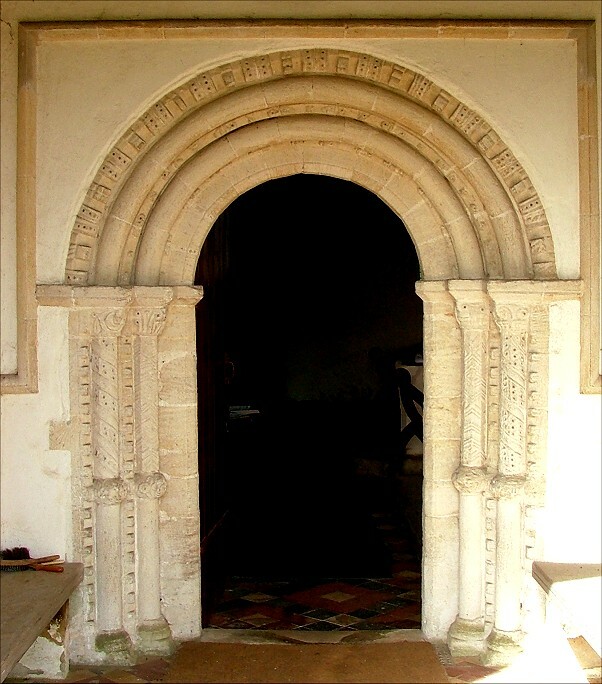 Even the porch was locked, obscuring the view of the church's most significant feature, an imposing Norman doorway. How out of place it seemed, against that great church! I rattled the porch gates a bit in frustration, walked across the graveyard looking wistfully back at the serious bulk of the church, and then headed along the track to the road, half a mile away. 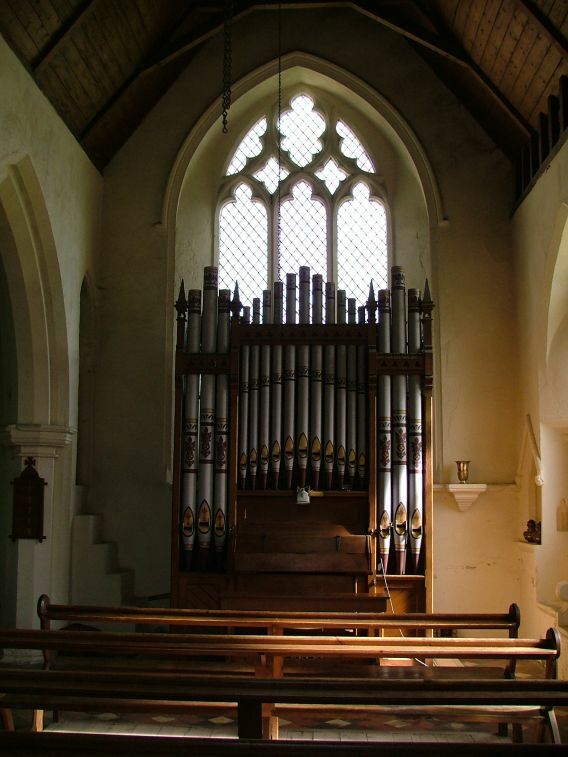 It would be more than two years before I came back to St Ethelbert. 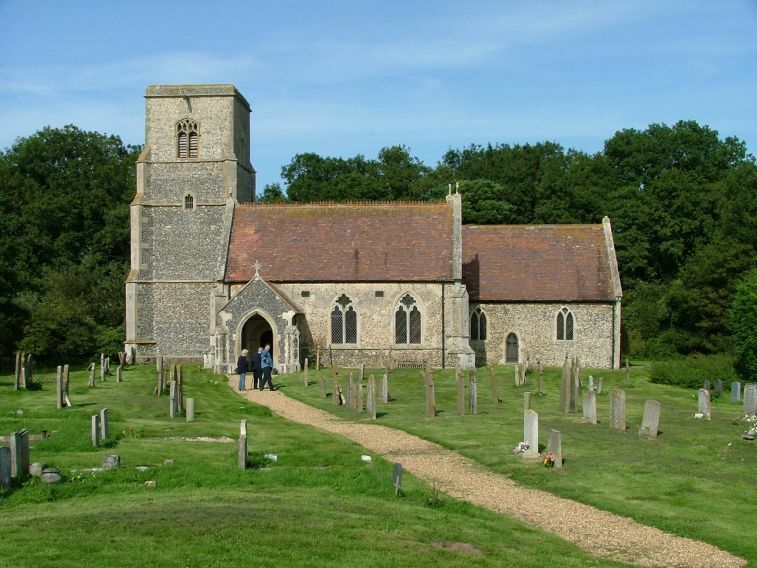 Through 2005 and 2006 I visited Norfolk churches, clocking up more than five hundred of them, and beginning to get a fair measure of the county. Places I hadn't been yet I knew from maps, their names evocative in a Proustian way. Larling, I knew; what would I have made of those two lullative, ellipsic syllables if I had not? And then, in the summer of 2006, the Latitude rock festival took place at Henham in Suffolk. We took our children. My main reason for wanting to go was that one of the headliners was the legendary American singer/songwriter, Patti Smith, who has been a hero of mine for thirty years or more. She said how excited she was to be in East Anglia. Her hero was Thomas Paine, the liberationist writer, she explained. He had been born in Thetford, and grew up in Diss. And halfway between the two was the tiny village of Larling. She had spent the morning at Larling, because Larling was the place where her mother's family had come from before heading across the great ocean to a new life in a new world. She had been to Larling to see the streets that they walked and the places where they lived. 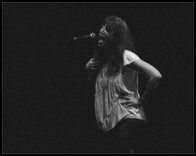 And so, of course, I thought of Patti Smith as we headed again along the long track to Larling church. It was a fair bet that the church would be open today; it was the day of the Historic Churches bike ride. 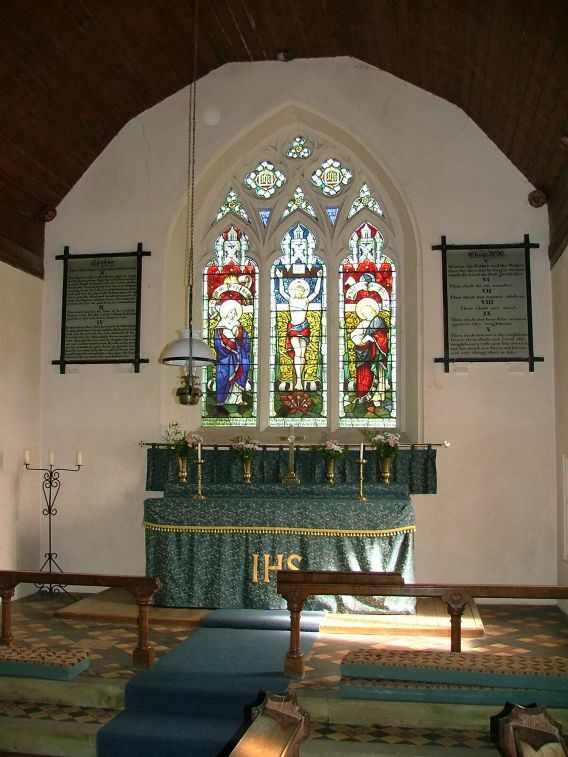 We had headed down from Norwich in a wide stopping curve through Poringland and the Buckenhams, out to Merton and down then into the soft underbelly of the county; out of the twenty or so churches we had visited already today, almost all of them were open and full of life. Only Hockham and Shropham were shamefully locked. 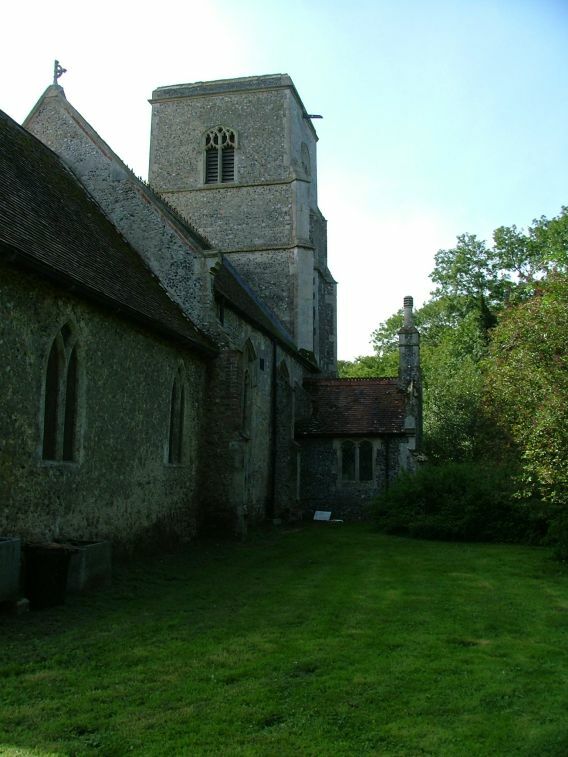 And from the track here, we could see two cars parked outside of St Ethelbert as the church came into view. I relaxed, knowing that we were, at last, going to step through that Norman doorway. The major 19th century restoration here was a very late one. In 1889, £230 was spent repairing the tower, about £40,000 in today's money. The tower had been begun in the 1470s, but was clearly never finished. 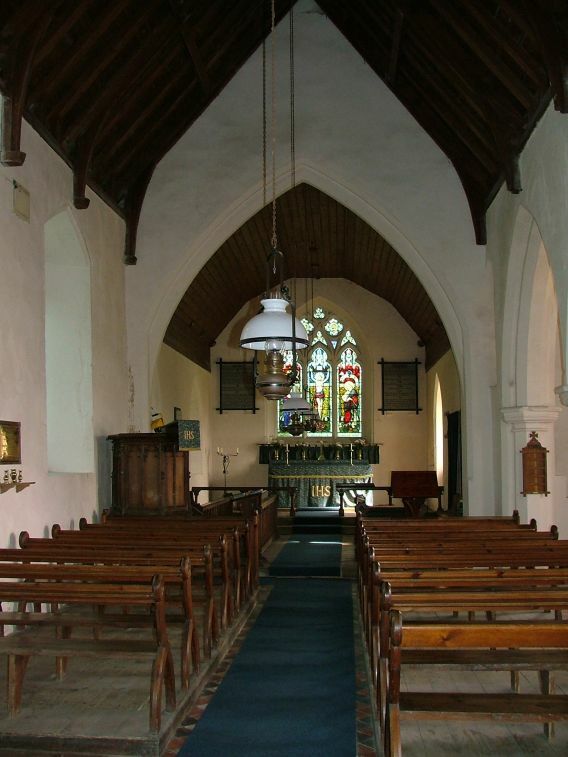 Restorations of the 1880s and 1890s gave the church the appearance it has today. As you would expect from the top photograph, it feels much smaller from the inside than the outside. The other Norman feature is a crudely primitive font, and it makes you wonder why it was thought worth keeping, or why it was never replaced. 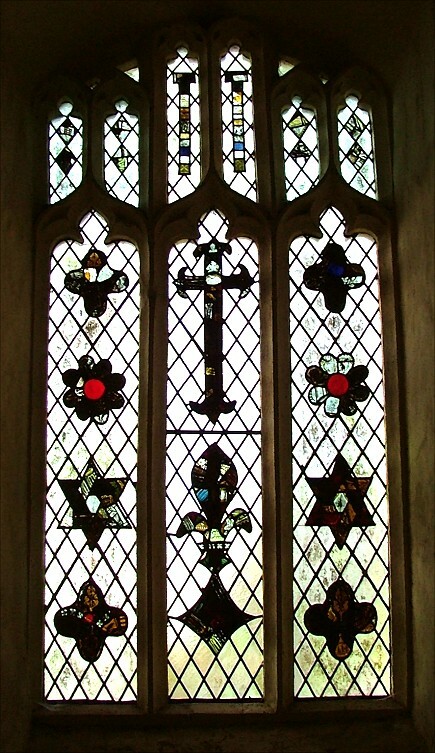 There is medieval glass in the west window, including, near the top, a tiny hand grasping a baton, a saving remnant. The original altar mensa with its consecration crosses has been restored to its original place.The organ cost about £100 in the 1890s. 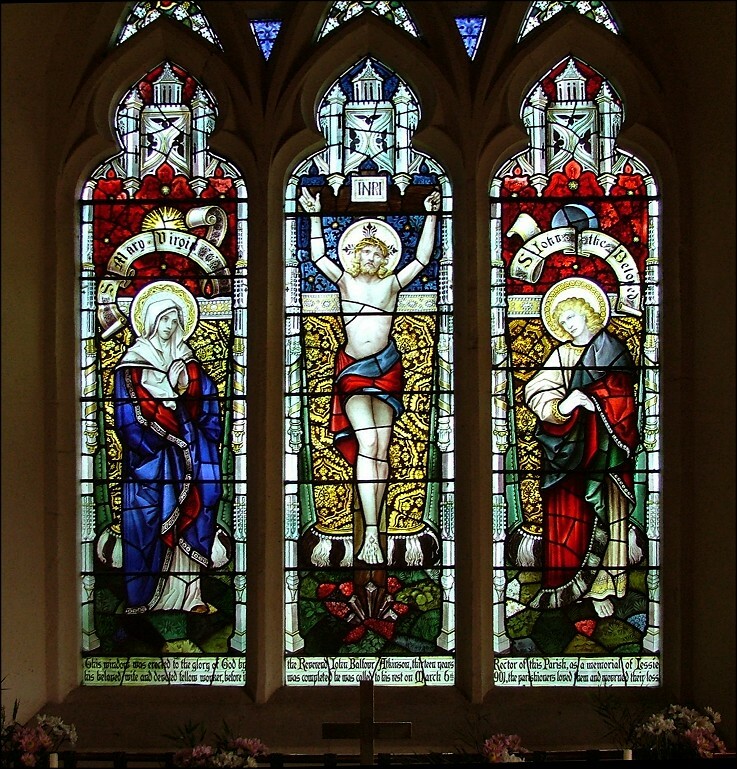 Clayton and Bell's Crucifixion window is a bit lost in the openness of the chancel. Not being a huge fan of Clayton and Bell, this wasn't a problem. But overwhelmingly, this is a Victorian interior. 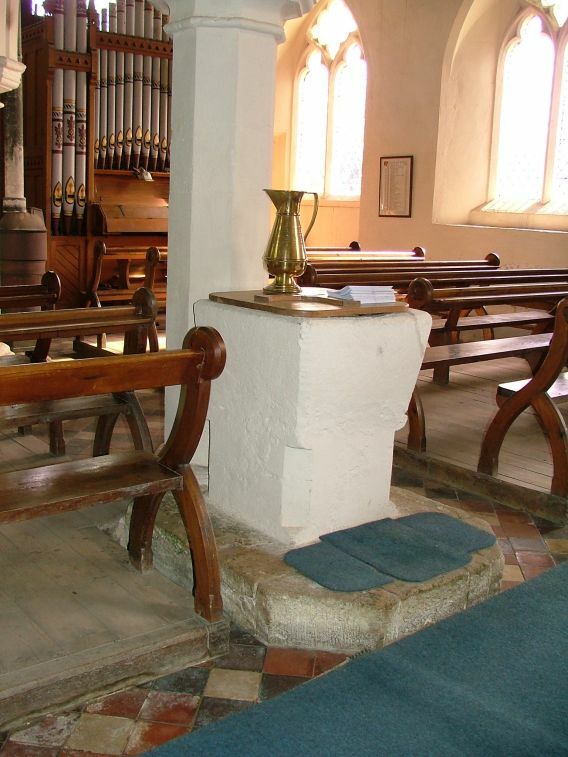 This is a church in which to imagine the ploughman learning his catechism, the blacksmith and the wheelwright seated side by side. The man in charge on this Historic Churches bike ride day clearly loved his church, which filled me with great optimism. I had a discussion with an old lady, who was also visiting, about low side windows. I was in my element; I had a lovely time. 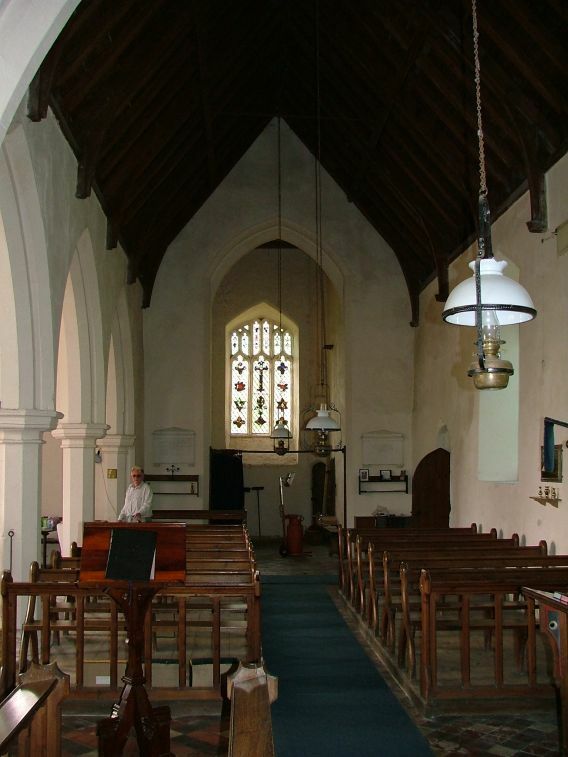 I decided that I liked Larling church very much, and not just because of its setting, or its prettiness, or even because of Patti Smith, but mostly because it has a sense of the eternal passing moment as much as anywhere else in Norfolk that I know.